If you or a loved one are experiencing pain that radiates from the back or buttocks all the way down the legs, you may have a common condition called sciatica. Many people in El Paso, TX. suffer with the pain of sciatica and many never achieve a long term solution. An untreated sciatic condition can continue to worsen and make the daily tasks of living go from difficult to impossible. Also known as sciatic neuralgia, is a condition that causes pain in the lower back, down the back of the leg, and into the foot. It can make sitting and standing for long periods of time difficult and can lead to weakness, tingling, and numbness in the leg and foot. It will often come and go throughout a person’s lifetime, causing periods of varying degrees of pain and discomfort. If left unchecked, sciatic pain will generally grow worse and the nerve can become permanently injured. Dr. Alex Jimenez has compiled articles discussing sciatica, a common and frequently reported series of symptoms affecting a majority of the population. The pain can vary widely. It occurs when there is pressure or damage to the sciatic nerve, a nerve found in the lower back which runs down the back of each leg as it controls the muscles of the back of the knee and lower leg. It also provides sensation to the back of the thigh, part of the lower leg, and the sole of the foot. Dr. Jimenez explains how its symptoms can be relieved through the use of chiropractic treatment. Pain that radiates from the lower (lumbar) spine to the buttock region and down the back of your leg is the tell-tale signs of sciatica. An individual might feel discomfort almost anywhere along the nerve pathway, but more than likely it will follow a path from the lower back to the buttock and back of the thigh and calf. Pain can vary, from a mild ache to a sharp, burning sensation or excruciating pain. It can feel like a jolt or electric shock. It can be worse when coughing or sneezing, and prolonged sitting can aggravate symptoms. Movement (i.e. leg) often intensifies the pain. Often, one side of your body is affected. Pain may uniformly distribute along the leg, however, there are spots where pain is more intense. Pain often associated with numbness and/or tingling in the distribution of the sciatic nerve. Some also have numbness, tingling or muscle weakness in the affected leg or foot. An individual might have pain in one part of your leg and numbness in another part. 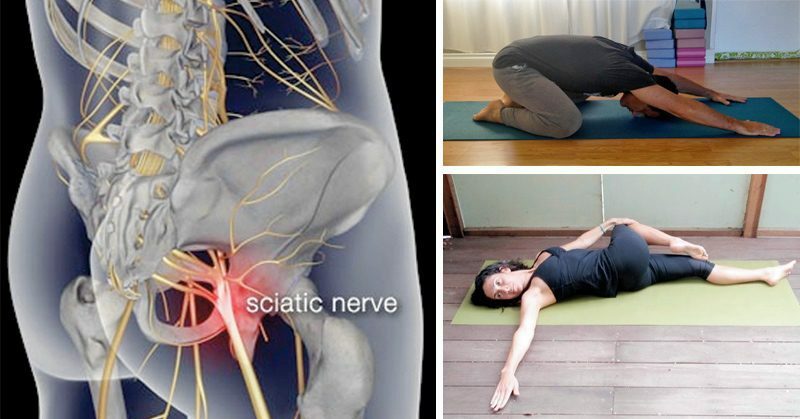 How Does One Develop Sciatica? There are a number of factors and reasons that can lead to sciatica. It is most commonly caused by disc injuries and bulges. In this occurrence, the disc presses against the nerve root causing the issue. Disc Injuries can occur because of poor posture, repetitive use injuries, and accidents. Sciatica is also common when there are subluxations (misalignments) in the spine due to postural issues, pregnancy, or trauma. Some patients say they simply bent over to pick up a piece of paper and they were hit with extreme pain. The reality is that the spinal condition was probably developing for quite some time before the triggering incident occurred. 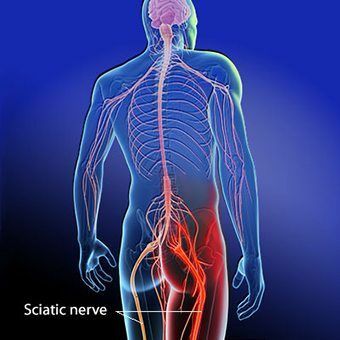 Sciatica happens when the sciatic nerve becomes pinched, usually by a herniated disk in the spine or by an overgrowth of bone (bone spur) on the vertebrae. On rare occasions the nerve can be compressed by a tumor or damaged by a disease such as diabetes. 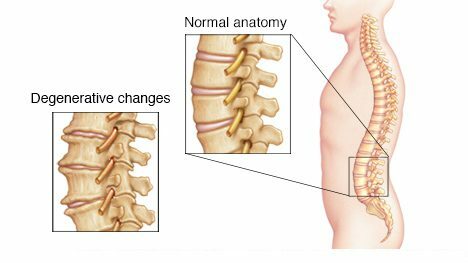 Age and related changes in the spine, i.e. 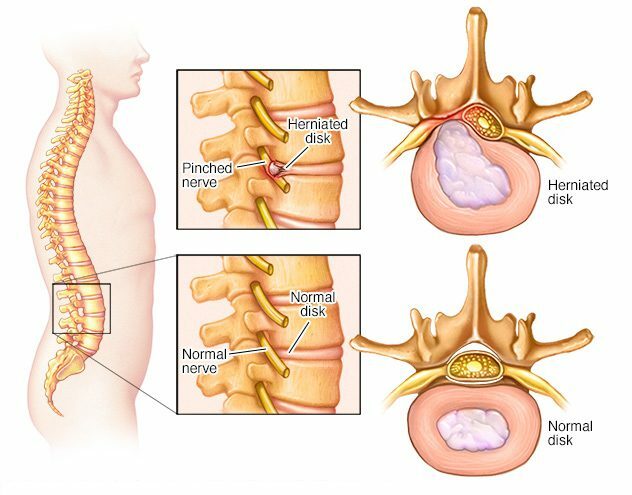 herniated disks and bone spurs, are the most common causes of sciatica. Obesity. Increasing the stress on your spine, excess body weight can contribute to spinal changes that trigger sciatica. 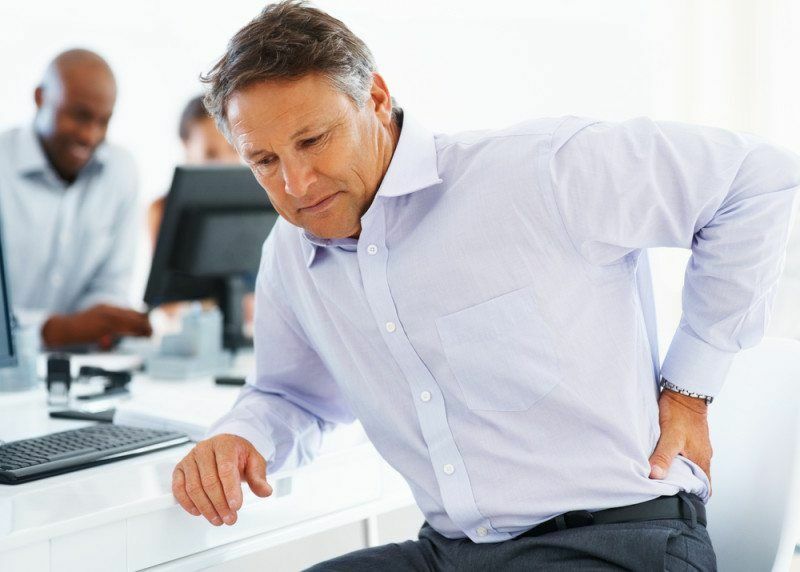 Occupation, working a job that requires twisting the back, carrying heavy loads or driving a motor vehicle for long periods can play a role in sciatica. However, there is no conclusive evidence of this. People who sit for prolonged periods or have a sedentary lifestyle are more likely to develop sciatica than active people. Diabetes affects the way the body uses blood sugar, increases your risk of nerve damage. To keep your back strong, exercise regularly. Pay special attention to the core (the muscles in the abdomen and lower back) are essential for proper posture and alignment. Ask your doctor or physical therapist to recommend specific exercises. Proper posture is of the utmost importance when sitting. Choose a seat with good lower back support, armrests and a swivel base. Consider placing a pillow or rolled towel in the small of the back to maintain its normal curve. Keep knees and hips level. Use proper body mechanics, if standing for long periods, rest one foot on a stool or small box from time to time. When lifting something heavy, let the lower extremities do the work. Move straight up and down. Keep the back straight and bend only at the knees. Hold the load close to the body. Avoid lifting and twisting simultaneously. Find help if the object is heavy or awkward. Chiropractors in El Paso are highly trained to zero in on the source of the sciatica and to work with the patient in determining the most suitable approach to treatment. After a thorough assessment of the individual’s unique issue, gentle adjustments are made that will allow the body to recover its natural alignment. Some people respond very quickly while others take more time to recover. It really depends on the condition of the disc or the joints that the chiropractor has to correct. In most cases, the longer the issue persists, the longer it will take to achieve correction. The great news is that it typically takes less time to fix an issue like this than it took to create it. Once the position of the spine and discs are improved, patients often report improvements to their overall health. If you are experiencing symptoms of sciatica call our team Wellness & Injury Team today.